Based out of Bengaluru and founded by Infosys veterans Agrawal and Balaji G.S. Rao, GSTSTAR offers products and services for GST compliance. Bengaluru: Infosys veterans on Tuesday launched GSTSTAR, a comprehensive solution catering to Goods and Services Tax (GST) regime needs of businesses, professionals and large organisations. "It caters to the GST needs of small and big enterprises. Minimum fee will be Rs 500 per month for the standard on cloud version and the on-premise customisable deployment for larger enterprises may range from Rs 10 lakh to Rs 40 lakh of a one-time cost based on the size of the organisation," GSTSTAR co-founder Shailesh Agrawal told reporters here. "Further, professionals may avail it free of cost for a limited period," Agrawal added. Based out of Bengaluru and founded by Infosys veterans Agrawal and Balaji G.S. Rao, GSTSTAR offers products and services for GST compliance and will help business transition to GST era smoothly. "The company is backed with seed funding of $1 million (Rs 6.4 crore) by software industry leaders and ex-Infosys directors T.V. Mohandas Pai and V. Balakrishnan among others," Agrawal said. He said the major chunk of the Rs 6.4 crore seed fund was received in the last few months. "The major chunk of the investment is from Pai and Balakrishnan," Agrawal said. With the GST regime coming into effect from July 1, the existing 80 lakh tax payer entities that are under the tax umbrella are expected to grow to 3.5 crore. "We expect to capture 10 per cent of Rs 3,600 crore market in the country by next year," he said. The GSTSTAR solution is offered both as a standard cloud based self-subscription version and full-scale enterprise version. 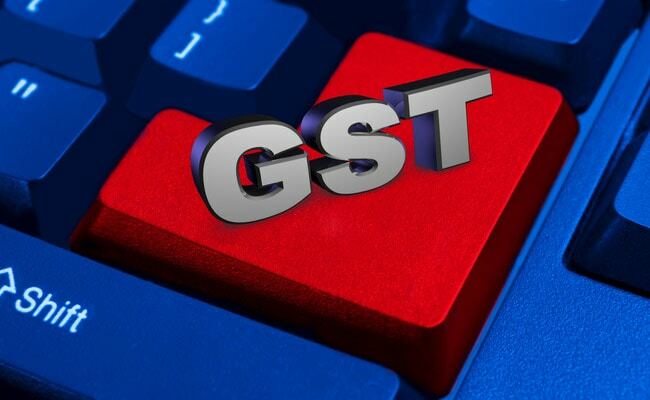 "The GST is bound to grow the GDP alongside enhancing the ease of doing business in India and GSTSTAR is poised to help not only big companies but small and mid-size businesses steer into GST era seamlessly," GSTSAT investor mentor V. Balakrishnan said. Services and utilities of GSTSTAR are designed to provide businesses with Invoice management, tax calculator, harmonized system of nomenclature (HSN), service account code (SAC) lookup and goods and services taxpayer identification number (GSTIN) collector utility to ease the compliance processes of enterprises. "This solution is one technology that various industries can rely upon as it is simple, reliable and provides services to help businesses of all sizes," GSTSTAR co-founder Balaji G.S. Rao added.